Another day another war criminal has been apprehended in the person of the former Bosnian-Serb army leader, Ratko Mladic. He, along with former Yugoslavian president Slobodan Milosevic handed over to the UN war crimes tribunal in 2001, Radovan Karadizc captured in 2008 and numerous other foot soldiers had been indicted by the UN war crimes tribunal for atrocious crimes against humanity in Bosnia including rapes of thousands of innocent women, torture, hostage taking of UN peacekeepers and orchestrating the mass murder, nay genocide of up to a 100,000 people in the mid 1990s. 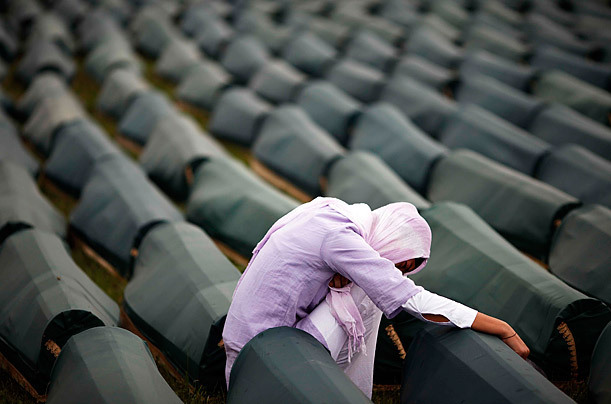 Mladvic in particular oversaw the murder of 8,000 Bosniaks (Bosnian Muslim men and boys) in the Srebrenica massacre of July 1995 widely regarded as the worst case of genocide in Europe since World War II; and between April 1992 and February 1996, overseeing the siege of Sarajevo, killing an estimated 10,000 people – shelling and sniping of civilians by Bosnian Serb forces under his command. He was finally arrested on May 26th, a few days ago after being on the run since 1995 – 16years almost. Aside from these sickening, inhumane crimes that turn one’s stomach, one has to wonder if after all this time, this man’s arrest would make much of a difference either way. Don’t get me wrong, he should tried at the International Criminal Court (ICC) at The Hague and convicted when (not if) found guilty. But then one has to wonder if the justice that would eventually be served on such a person really would be justice deserved. First of all, consider that after he and his fellow butchers-in-crime committed those horrendous crimes under the watchful gaze of the international community (the very brave Christiane Amanpourbroadcasted live some of these atrocities during the war to the world, particularly US viewers) yet Mladic and Karadzic were able to live freely for more than a decade after the UN indictment against them in 1995. 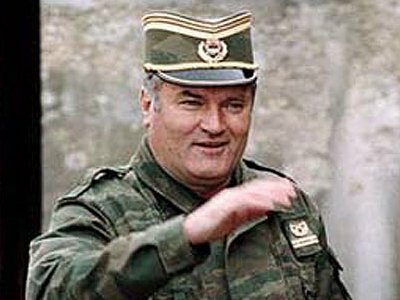 Mladic was apprehended in Lazarevo, a small town with a population of less than 3,000 people living comfortably where many Serbs still consider him a hero and a defender of Serb rights during the 1992-1995 war. In fact footageof him surfaced some years ago at a ski resort having a good time, dancing at weddings, going to restaurants, living the good life generally. As one of the numerous victims and survivors whose entire family had been wiped off the face of the earth in the ethnic cleansing noted, Mladic had lived life as a free man for 15 years she does not feel a sense of closure. In addition, consider also that a trial at ICC would take years in terms of compiling evidence, getting the prosecution and defence teams ready, getting witnesses who can testify plus and minus the other technicalities a trial involves. 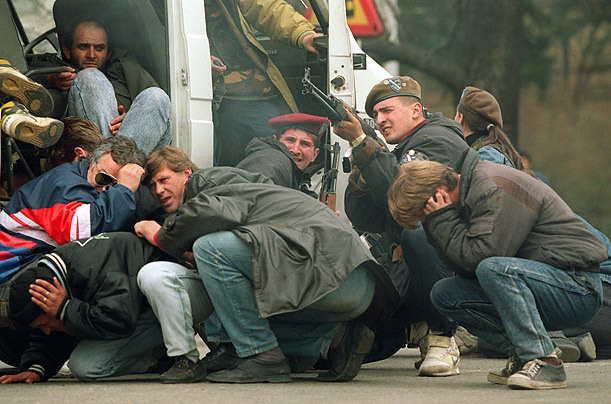 Slobodan Milosevic’s trial took four years during which he pulled all sorts of tricks and shenanigans to stall the trial, while Radovan Karadzic who interestingly is serving as his own defense counsel has also resorted to similar delay tactics , in many cases even refusing to attend the trial, which the judges surprisingly are acquiescing to. Mladic, now a grey-haired 67 year-old, having spent 15 good years on the run, is already feigning all sorts of health problems, at least his family and defence team are claiming he has trouble communicating, and is not fit to be extradited to the Hague and to stand trial even though a judge has ruled that he is fit to stand trial. Nevertheless, it is possible that such trial would take years to conclude and within that time health problems (real or imagined) of the accused may stall or unnecessarily further delay the trial that is if leniency, plea bargain or any of those legal deals are not sought by the defence team. If all these challenges are somehow surmounted the next question is whether Mladic remains alive or dies of a heart attack, stroke or other heart-failure-type-condition before or during trial. Milosevic died in 2006 of a heart attack in his cell just a few months before the verdict was to be delivered on his four-year trial, after doing everything possible to stall his trial for as long as possible. Similarly, the recently ousted Hosni Mubarak of Egypt (though not a war criminal per se) claims to also have heart problems, which in my opinion is a ploy to get a lenient trial and conviction. You wonder how these contemptuous men’s hardened hearts seem to fail, stop or develop complications during trial when all the horrendous crimes they committed with sadistic glee did not move those stone-encased hearts. And if Mladic still remains alive and relatively healthy until the trial is concluded and he is found guilty, how would he be sentenced? Would it be life imprisonment or would the defence seek capital punishment? It would most likely be the former that is, one or several life sentences after-all with, the advocacy against capital punishment these days, I doubt if the prosecutor, the UN War Crimes Tribunal would seek the maximum penalty and sentence anyone to death in the 21st century. Some Serb leaders were only given sentences ranging from 13 years in the case of Milan Babic to 35 years in the case of Radislav Krstic and all had been found guilty of genocide. Is this deserving justice? Is that what such sadistic and cruel people who directed the killing of thousands of innocent people including children for no just reason save their identity deserve? How would the victims feel, those whose entire families have been gunned-down and exterminated that the master-minds spend a few decades in a fairly comfortable jail, because I doubt if people like Mladic and Karadzic would be kept in solitary confinement. Would this delayed justice ever be fair or deserved? Either way I think it would be difficult for the victims to have any sense of permanent closure or redress, they would just have to brace-up and live-on with their pain. If the terms of whatever sentence that gets passed does not suffice then, what appropriate punishment would make these men pay for the atrocities they have committed? How can they be made to suffer the same horror they have visited on their victims? 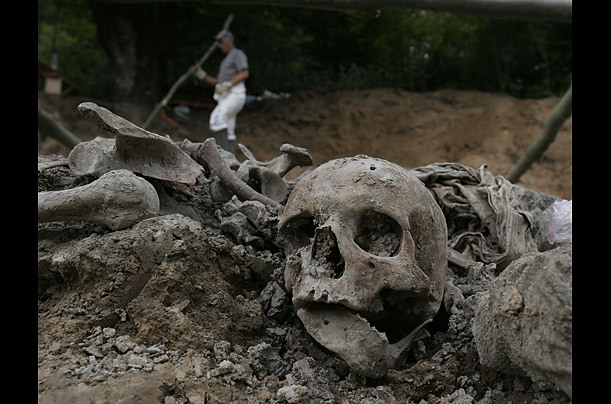 Should Mladic and Karadzic and other butchers be killed and mutilated over and over multiplied by the number of people they have killed innocently (not like that would ever happen)? It would still not make much difference; it would not provide real solace to the grieving, hurting surviviors. Going by the adage prevention is better than cure; I believe in the first place such situations should not have been allowed to degenerate to that stage. In particularly this Bosnian war where live footage of the carnage and the massacres going on were fed to people around the world on their TV screens yet the international community was more or less helpless until thousands had been massacred before an intervention was made. In fact, lightly armed Dutch (UN) peacekeepers watched helplessly the summary executionof Bosniaks by heavily armed Serb troops in Srebenica. It is a comparable situation with the late and very reluctant response by the international community in the Rwandan genocide within the same period in 1994, a continent away in which over 800,000 Tutsis and moderate Hutus were massacred as General Romeo Dallaire and his 270 UN peacekeeping troops watched helplessly. Justice should have started while those atrocities were being committed, while something could still be done to save a lot of innocent victims from premature death. Bloody ‘90s (pun intended)! This is why I get very worried at the increasing level of intolerance, mutual suspicion and dearth of trust between Nigeria’s ethno-regional and religious groups. You have to wonder what level of hatred would push people to conclude a certain group or groups are inferior and need to be exterminated. Hopefully, such will never happen in Nigeria as we hope our leaders and politicians would find ways of mending differences and building bridges to re-establish trust across ethno-regional and religious fault lines. But Nigeria’s situation any keen observer would note is daily assuming an increasingly worrying dimension with the pockets of communal strife and ethno-religious violence around the country that claim thousands of lives every year, and as noted previously, mutual hatred and animosity is on the increase. It is this kind of tension that builds-up over years and like a cracked mirror that keeps being hit and punched with the eruption of any communal violence, it gives in and shatters eventually, enveloping a country in crisis, hopefully this will not happen to Nigeria. I hope we Nigerians will get our act together for we are the only ones who can help ourselves, if any civil war or nation-wide violence erupts, from previous antecedents of the international community’s pattern of intervention and response extensive damage, carnage and loss of lives numbering thousands or possibly millions might unfortunately occur before anyone comes to our aid. And even at that, not much might be done, for the international community is severely crippled by politics, by the sovereignty of individual countries and other factors. Let us learn from examples all around us and find ways of mending our differences for as in the Bosnian case, justice delayed is more or less…well you know the rest. Bankole: Culprit, Pawn or Scapegoat? Sadistic glee indeed, lol. I’ve always found that the punishment rarely fits the crime, and that justice in cases like these is really only small consolation. That is why belief in the hereafter, and judgement day is so comforting. Good column. It is hard to believe that he could not be located all these years. Good you brought Nigeria into the picture. It is sad and shameful that after a bloody civil war in Nigeria none of the so called people running the country learned anything based on how they are running the country to the ground. Yes, very hard to believe he couldn’t be located for 15years yet videos of him (before his capture) kept surfacing. When you also consider that the EU gave Serbia certain conditions to fulfill one of which is the capture of Mladic, you start to wonder… As for Nigerians, we are apparently very poor students of history. A total of over three hundred thousand Igbos have been killed during the ethnic pogroms of 1945, 1952, and 1966. During the Nigerian civil war over a million Igbos would be starved to death, have their properties confiscated, and be rendered paupers through government fiat. 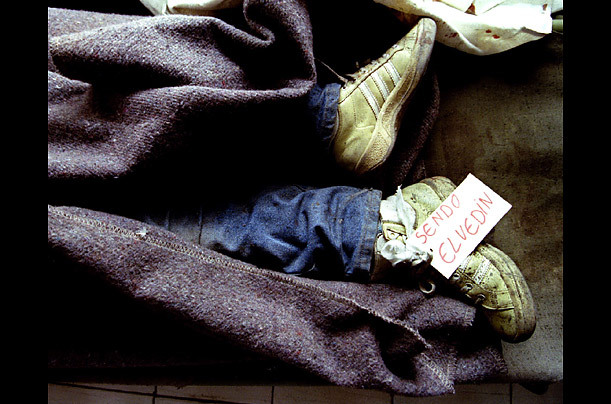 The killing and targeting of ethnic minorities still continues on till today. You speak of bringing Bosnia’s war criminals to the book, what of the criminals in Nigeria?